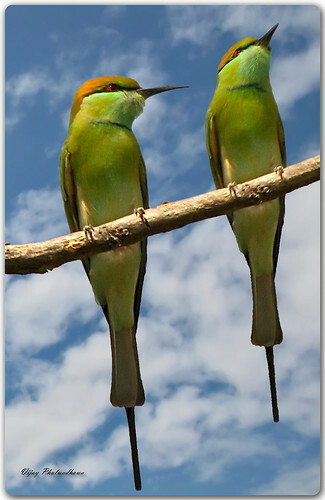 cc licensed ( BY NC SA ) flickr photo shared by Vijay..
Like some people use special whistles to attract birds, your task is to create an 30 second or less audio file that might be used to “call” a particular character from a movie, tv, or real life. 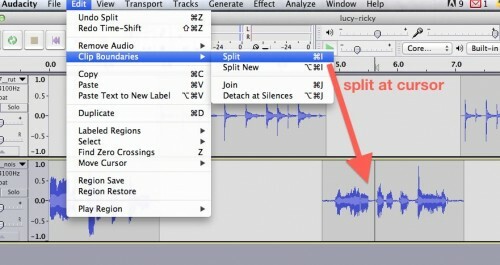 It cannot feature voices, but sounds only (try http://freesounds.org). Write a description why this sound would be attractive to the character, why it would be effective (be inventive, write a story about it). (Stranglely the example I did, Calling Dr Oliver never got added, hmmmm). So began to consider maybe a pair of characters calling each other, who might that be? My brain mulled back to the childhood TV shows I watched, so here is my bird call (details below the fold) (don’t peek)? Kazoo Improv (by NoiseCollector- is that a friend of Noiseprofessor? 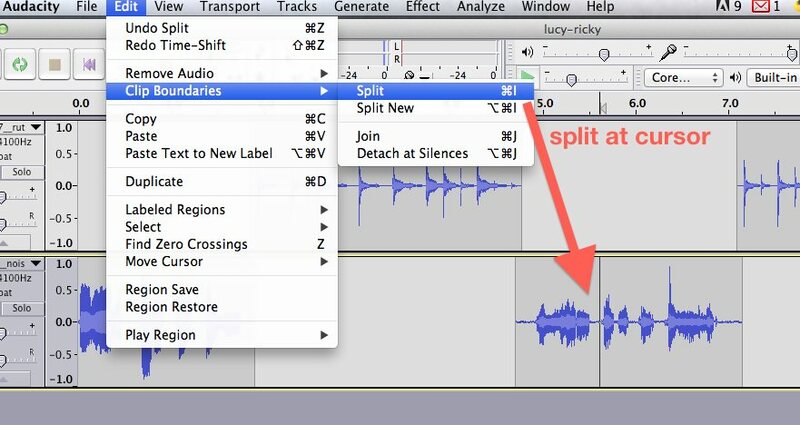 You can also achieve this with doing a copy of a selection and pasting, but the Time Shift tool on its own is worth knowing about for adjusting where sounds occur on the timeline. 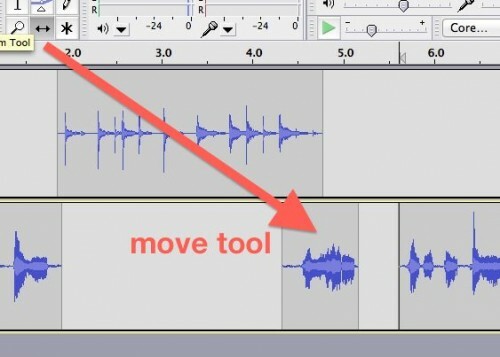 I wanted to bring my sounds up so they call back and forth, and I did some copy pasting on the kazoo to have it repeat, but applied the “Shift Pitch” effect to make it sing higher. The Congas is cool and steady and never breaks from the beat. A Kazoo sound and a steady congo going back and forth? Do you have it yet? 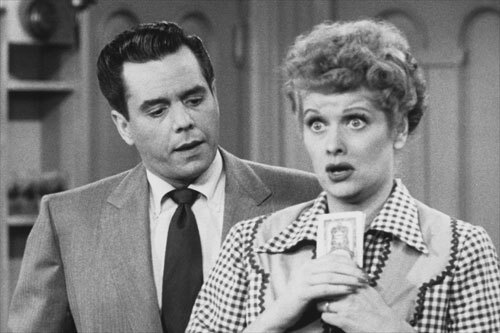 Of course, who did more back and forth calling than Lucy and Ricky Ricardo? I Love Lucy was a rerun staple in my childhood TV watching days, and without over analyzing it, it had to be the sheer energy of Lucille Ball, and her pranks– the loudness and use of high and low audio in this show emphasized the atmosphere so much, that you felt like you were inside the apartment (or down at the Tropicana Club). It would be the role Lucy would be almost forever cast in, although she certainly did more than I Love Lucy. From IMBd I learn she and Desi Arnaz were innovators behind the scene, creating the standard 3 camera set up used on most sitcoms and developing the concept of syndication for TV. She was also the first woman to be the head of a film studio (Desilu Productions). I cannot help but wonder how much of that was improv?